The earlier you register, the more you SAVE! 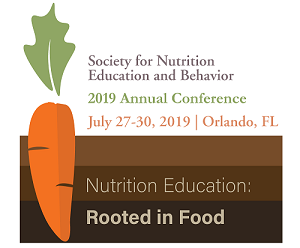 Encourage your peers and colleagues to join you in Orlando for the 2019 SNEB Annual Conference by taking advantage of the Join and Save discount. New members can join SNEB and register for the conference at a discounted rate. To earn even more savings, claim this offer before the early bird rate ends on June 7. Join and Save is only available to new members of SNEB. Those who were members in 2018 can renew and register online at www.sneb.org/2019. This presentation will describe unaccompanied homeless youth (a very vulnerable and difficult to reach population), their food needs and how youth drop-in centers attempt to meet these needs. The presentation will also describe the types of food available to homeless youth at one such drop-in center. Dr. Hatsu is an Assistant Professor of Human Nutrition at The Ohio State University. She is also the Extension State Specialist for Food Security. Her research interests include: health consequences of food and nutrition insecurity in underserved and vulnerable populations; nutrition intervention for chronic disease prevention and management in vulnerable populations. Anchorage, Alaska is home to more than half of the state's population and to the majority of Alaska Native peoples. Traditional foods play a large role in the lives of many Alaska Native peoples, both in urban and rural locations. Current intake of traditional foods (TFs) in the largest city in Alaska, and particularly with Alaska Native women, is unknown. The presentation will discuss the intake of these foods and determine how practices, attitudes, and beliefs around traditional foods are associated with intake of traditional foods. Amanda Walch is an Assistant Professor of Dietetics & Nutrition at the University of Alaska Anchorage and has been a Registered Dietitian Nutritionist for 20 years. Dr. Walch earned her PhD at the University of Alaska Fairbanks and conducts research on food security and diet quality in Alaska. Her collaborative work is with low-income populations, including Alaska Native peoples. 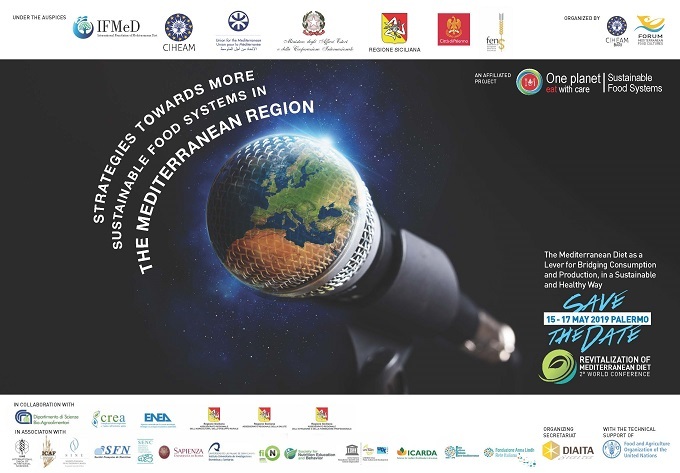 The EAT-Lancet Commission on Food, Planet, and Health brings together more than 30 world-leading scientists from across the globe to reach a scientific consensus that defines a healthy and sustainable diet. The Commission has delivered what it deems the first full scientific review of what constitutes a healthy diet from a sustainable food system, and which actions can support and speed up food system transformation. The Division of Sustainable Food Systems is very pleased to host this Hot Topic Call featuring lead author Walter Willett, who will provide a brief overview of the EAT- Lancet report, and address some of the feedback that has resulted. The remaining time is dedicated to audience comments and Q&A. To more fully illustrate key themes, we strongly encourage participants to review this report on the topic, as well as this presentation from Dr. Willett prior to joining the call. Dr. Walter Willett is Professor of Epidemiology and Nutrition at the Harvard T.H. Chan School of Public Health and Professor of Medicine at Harvard Medical School in Boston, Massachusetts. He served as Chair of the Department of Nutrition there for 25 years. Dr. Willett has focused much of the last 35 years on development of methods to study the effects of diet on the occurrence of major diseases on cohorts totaling nearly 300,000 men and women. Professor Willett is among the top three most cited persons in all areas of science. He has published over 1,800 articles, primarily on lifestyle risk factors for heart disease and cancer and authored the textbook Nutritional Epidemiology. He also has four books for the general public. He is a member of the National Academy of Medicine and the recipient of many national and international awards for his research. Hot Topics Calls are available to members-only as a benefit of membership.